Cabo hotels are known for their luxury but I still come across places that take my breath away. 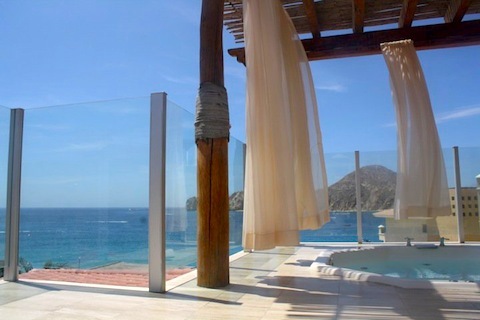 This hot tub on the private balcony of a suite at ME Cabo is one of those spots. I couldn’t image a better place to enjoy a view of Land’s End. What’s your favorite view in Cabo?